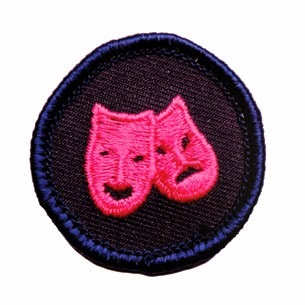 One of our Rangers wanted to present a meeting for the Guides on the Performing Arts badge so this is what she did. 7:50 - 8:20 Skit presentation -- They came up with some pretty interesting skits! If we combine this with other activities we've done this year (puppets (PA#7), mime game (PA#4), and song performance (PA#6)), they've done enough to earn the badge. Is there a way to get some of your work sheets, and stuff. It says that file not found in dropbox? Dropbox changed the way it works and all of my links are broken right now. Is there something in particular you're looking for?